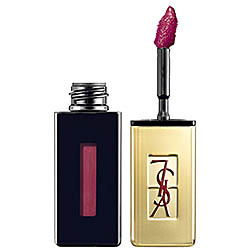 Today I am wearing one of my favorite long-wearing lipcolors by YSL. Granted, it's a bit pricey at $34, but the purchase was totally worth it when I bought it last year. Note I said "last year". Because now L'Oreal has come out with a drugstore version and I'm a convert. But more on that later in the week. This feels fabulous and moisturizing and lasts for a long time- I don't have to touch up until after lunch. Sometimes a splurge is worth it, and I am glad I splurged on this. I am definitely keeping this in the stash! 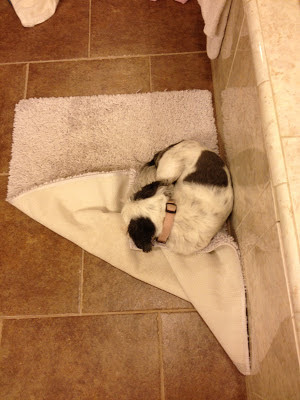 I wanted to show you where my little dog Bella lays while I am getting ready in the morning- there's a big bathmat right behind me, and every day she spends a few minutes pulling it up and getting it situated to make herself a little pillow and then takes a little nap while I put on my make up and dry my hair. It's just the cutest thing ever and I had to snap a pic. 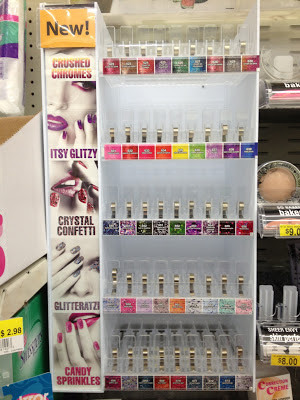 I have dragged the kids to Walmart a few times in the last few days waiting (im)patiently for this new Hard Candy nail polish display to be stocked. 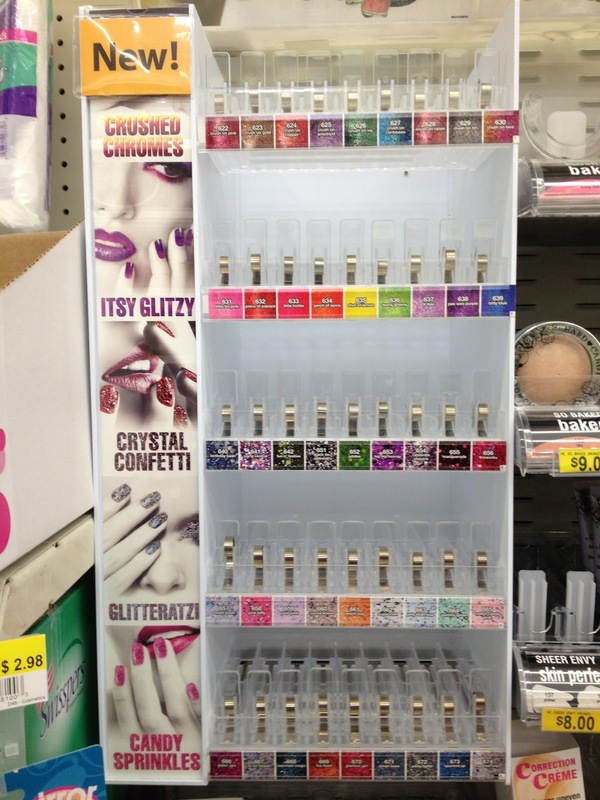 I'm most excited for the Candy Sprinkles row of shades at the bottom.... these are dupes (and more) of the Nails Inc Special Effect Sprinkles line sold at Sephora. 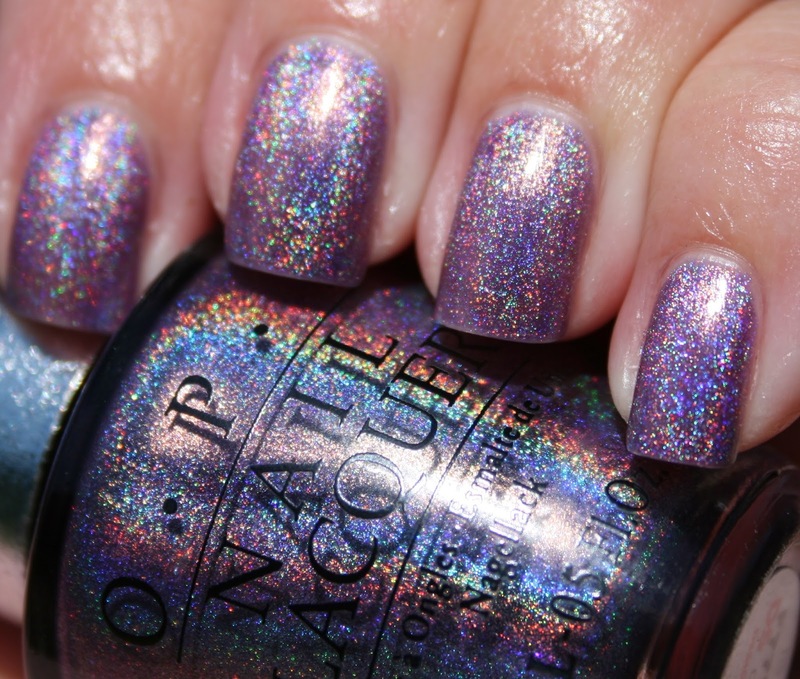 Kelly at Vampy Varnish has some gorgeous swatches of the Hard Candy line and I now have quite a few I'd like to get. 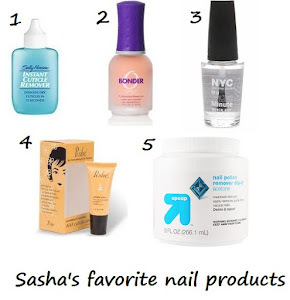 The Hard Candy polish is priced at around $4, while the Nails Inc. shades are $9.50. Let me know if you've seen them in your area! LOTD #14 and another book finished!